I love using low-volume fabrics. I decide to put together a low-volume mosaic, that I would like to buy. I have recently bought a few of these from Hawthorne threads. Of course, you can’t just have low-volumes, you need some bright and vibrant color prints too!!! Here is my recent purchase…..I am loving Alison Glass Clover Sunshine (purchased from Westwood Acres). I am using this bundle, in a project for Book Review Tuesday. I am thinking of double dipping. I love those purples on the left which could be perfect for “Radiant Orchid” Pantone Challenge link-up. Ooh, almost forgot. I am trying out instagram (ml_wilkie), I would love to see what you all are up to. What do you think about instagram?? 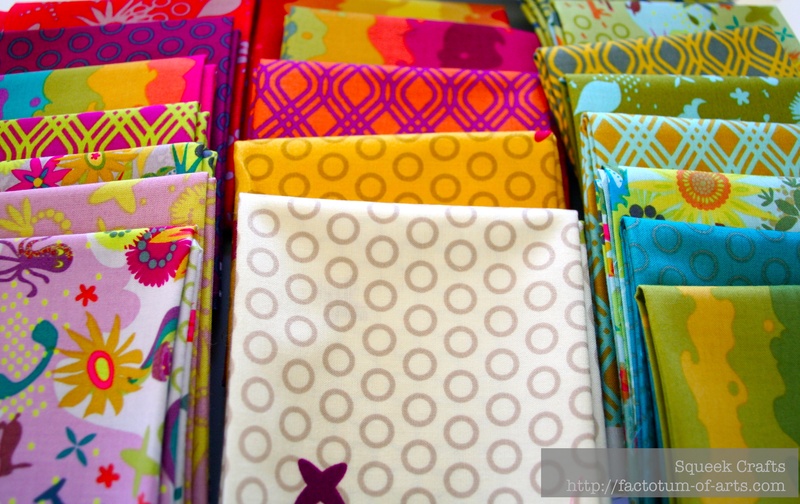 Linking up with Molli Sparkles for Sunday Stash (link on the right hand menu). This entry was posted in Uncategorized and tagged alison glass, clover sunshine, Hawthorne threads, pantone quilt challenge, radiant orchid, sunday stash on January 12, 2014 by mlwilkie. Well you know I’m all for bright and vibrant! But then I also think you need all of those LVs too! Is that bad, or just plain gooood?! Thanks for linking up! I love Clover SUnshine so much, but none of the sites I frequent were selling it; just the other line (Sun print??). This collection needs to get more love out there, I think! Westwood acres still has their bundles in Fat 1/8, fat 1/4 and I think 1/2 hards??? It is fabulous and I could do so much with it whether I keep the bundle together or split it apart :-). I just dusted off instagram too. It’s pretty fun and I was glad to see you there! I added the widget to my blog too so I can feel like I’m adding to rather than subtracting from there. I probably need to add other icons too (like pinterest etc) but I like how you added your feed to your blog. I didn’t even know there was a widget for Instagram .. maybe I should go look for it. I so rarely use IG, but maybe I’d use it more often if it were linked up to the blog somehow. I love using the low volumes to add a little more for those background pieces especially when it requires a scrappy look. I have some of those low volumes in my stash, too. But I generally migrate toward the bold colors. Hard to fight genetic predispositions! Love the brights! I’m trying to add low volume to my stash too. Linked to you through Molli Sparkles. I love your low volume mosaic! I think I’d buy every one of those! Thanks for sharing! What a good idea, playing with fabrics in a mosaic before purchasing! All lovely! Regarding IG, I am trying to get into the habit of Ig’ing as there certainly is a lot of quilting activity there. But one more social media demanding my time…it’s still an experiment for me. The low volume mosaic is fantastic, I’d like all of those – should have checked out your post before I just made an online purchase!! 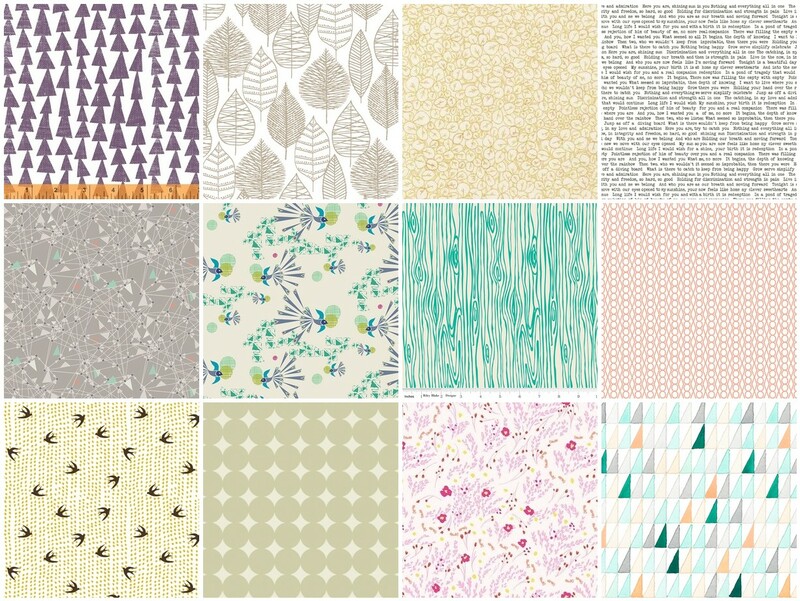 I love Alison Glass fabrics too, and you low volume wish list looks nice.